On May 14th, 2016, the CD release of the Fragmenti Remixes took place at the Actual Gallery in Winnipeg. 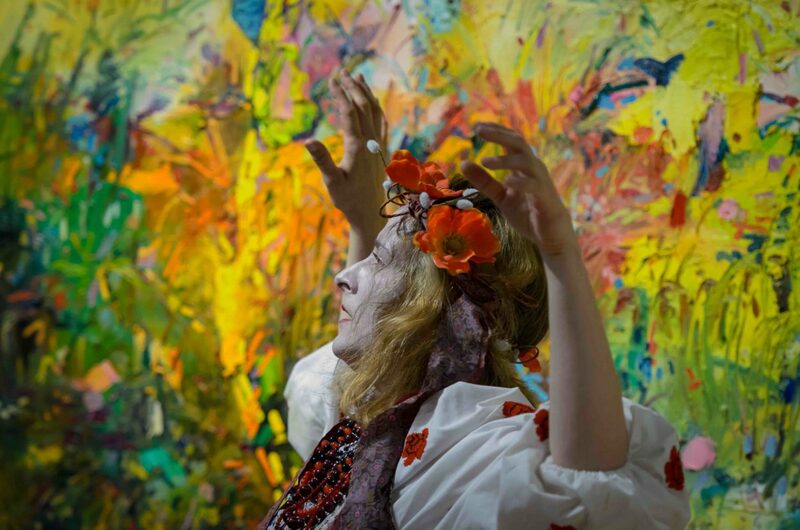 There was a live performance with Paris To Kyiv founder and vocalist Alexis Kochan, sound artist Ken F J Gregory and performer & director Mia Star Van Leeuwen. Movement Consultant and Choreographer Tanja Faylene also added her creative talents to the performance. Two short films by Danishka Esterhazy featuring Paris To Kyiv’s music (The Red Hood & music video to Joe Silva’s remix) were also shown. Pictures courtesy of Ian Walsh.